A mother tells the heartbreaking story of the Sam Trott search. I helped search for Sam. This is what his parents need to know. Two nights ago, I looked for a little boy as if he were my own. 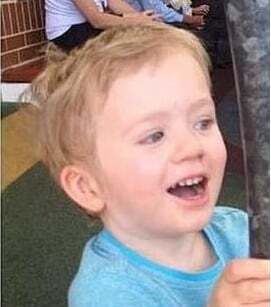 With desperation, hopelessness and urgency, I searched the streets of my local area for two-year-old Sam Trott, who walked out of his house on Tuesday morning and seemingly disappeared into thin air. I wasn’t alone. 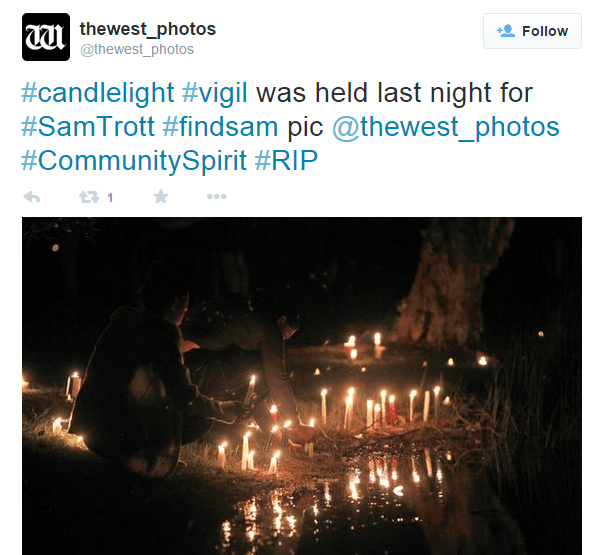 The newspapers said there were dozens of people searching for Sam on Tuesday night. There weren’t; there were hundreds. I arrived at the local community centre at about 7pm, after I couldn’t sit and listen to the helicopters overhead any longer. I went on my own, without a torch, without a plan, just with a desperate need to help find this little boy. The police expressed surprise that so many people had the same idea as me. I wasn’t surprised; in fact, I’d have been surprised if fewer people had turned up. I may diss suburban Perth, but I have never been prouder of my community as I was that night. Every parent, every aunt, every uncle, every grandparent, every sibling felt Lyndal and Matt Trott’s agony, and wanted to help. 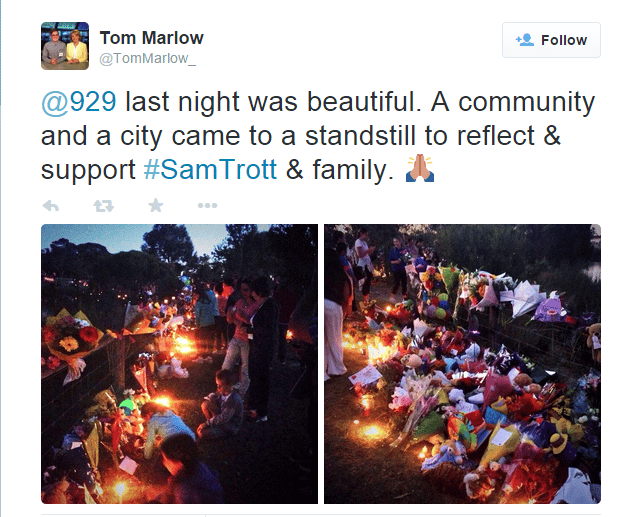 The Perth community has been devastated by Sam Trott’s death. How could you not? How could you sit at home and watch telly when a tiny little boy was out on his own at night, lost and alone. This is what happens when you become a parent – sympathy transforms overnight into profound empathy. A parent’s anguish becomes your own anguish, because it could be you. When the three Maslin children died on MH17, we cried for them. We put ourselves in their parents’ position and cried for their three lost babies. When a friend’s stepbrother and his wife lost their baby at 39 weeks into the pregnancy, we cried for what might have been. When I went looking for little Sam Trott last night, only one thought was going through my head: ‘This could be my baby boy.’ And it could have, easily. My son Ben did something similar when he was four. He was at mum and dad’s, and mum thought he was with dad and dad thought he was with mum, and in actual fact he’d decided to walk to my nan and granddad’s, in underpants and bare feet, across busy roads in the middle of summer. I wasn’t there, but I know that my mum still can’t talk about that half an hour or so when they frantically ran around the streets, screaming his name, checking neighbours’ pools and calling the police. He was spotted – thankfully – before he got too far, and brought home safely, but the terror of the situation still wakes mum up in the middle of the night. Because of this, because of what might have been, I went looking for Sam Trott last night. So did many people – I saw school mums, gym regulars and even my beautician – and together we formed groups of about 15 to find a missing boy. Quietly and gently we called his name, searched through bushes, looked over fences and behind bins. Each street for miles around had at least four groups doing the same. In the end, the police didn’t know what to do with us all – they’d run out of streets and, increasingly, options. I didn’t sleep on Tuesday night. I doubt many people did; I’m sure I wasn’t the only person refreshing the local news page on my phone in the hope that there would be good news. There wasn’t. At 10 yesterday morning we got the worst news of all. I crumbled. Everyone crumbled. It’s hard to write this because how on earth can you rationalise and write about this tragic ending? 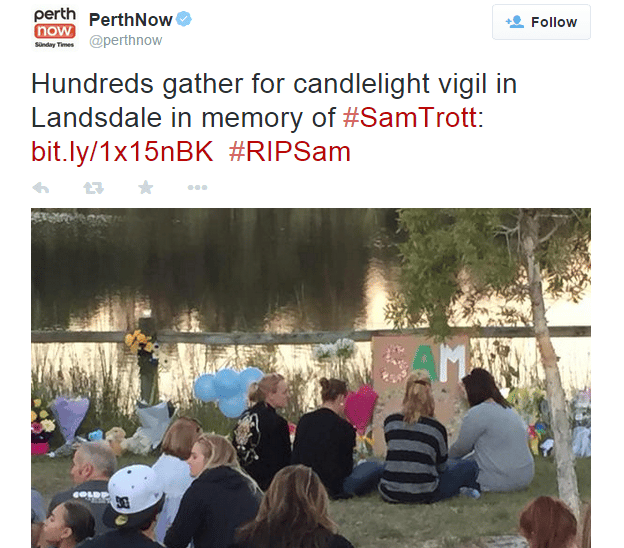 A vigil by the lake where Sam was eventually found. But this is what you need to know. This is what Sam’s parents need to know: we are with you. We can’t imagine what you’re going through, but we are here. 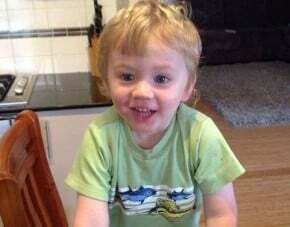 Your little boy could have been our little boy, and our heart is breaking at this story’s ending. We know that you can’t wake up from this nightmare, and we send you our hearts and our love, for what they’re worth. Your little boy will never, ever be forgotten. Rest in peace, little Sam. This post originally appeared on Post Script Writing and Editing and has been republished with full permission. You can find Lisa Shearon on Facebook or follow her on Twitter.